WITH a history dating back just a dozen years, the Hunter Valley's First Creek certainly qualifies in the up-and-coming category – and one of the Hunter's most exciting at that. snapper, potatoes, onions and tomatoes. 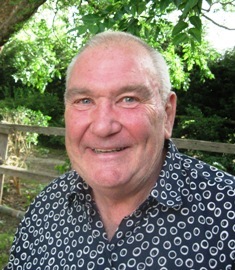 With a family being involved in hotels in Newcastle and on the NSW South Coast from when he was a small child, Greg Silkman did a Science Degree at Newcastle University, then with a partner bought Tamburlaine Winery in 1986, ten years later decided to go out on his own and buy his own winery, Allanmere Wines. And the following year with several partners he bought land at Pokolbin and established First Creek Wines, with their first product hitting the shelves in 2001. Today three generations of the Silkman family run the company, including Greg's daughter-in-law Liz Silkman (nee Jackson) who has been Chief Winemaker since 2009. A just-released 2011 Winemaker's Reserve Chardonnay is a stand-out in their portfolio, a truly classic Hunter Chardonnay with a beautifully seamless mix of lemon, rockmelon and white peach on the palate and a wonderfully intense creamy structure. with a fruity sauce or chutney. Pay $40 and enjoy with whole snapper oven-roasted with sliced potatoes, onions, tomatoes, and well-basted with lemon, garlic and parsley. 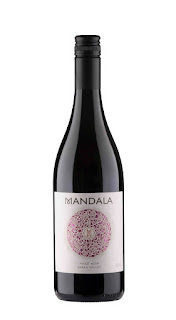 ONE TO NOTE: MANDALA in Victoria's Yarra Valley has released an interestingly quite soft and delicate 2011 Pinot Noir made from 80% fruit from the company's Yarra Junction vineyard and 20% from its Dixon's Creek. Forever fastidious about their fruit, Mandala discarded 30% of what they picked, retaining only the best 70% for this wine that's got soft raspberry, cherry and strawberry fruit flavours on the palate, nice acidity, fine oak tannins and earthy and savoury notes. At $28 a nice choice with roast duck served with a fruity sauce or chutney.